In 634AD, or thereabouts, King Oswald of Bernicia led a small army against the combined, larger forces of Gwynedd and Mercia at the battle of Heavenfield. The record of Oswald’s life is scant but on the eve of battle he (might have) personally raised a large wooden cross and (possibly) asked his men to join him in praying for victory. If he did, it was a good plan: he routed his enemies to become king of a reunited Northumberland and overlord of Mercia. King Oswald’s coronation. C13th manuscript. (Image Wikipedia). But it was a short-lived triumph: poor Oswald would be dead within eight years; hacked to pieces at the battle of Maserfield; his head and limbs impaled on poles (some extra gory detail for you there). But even during his short life he was revered as a saint for spreading Christianity in England. 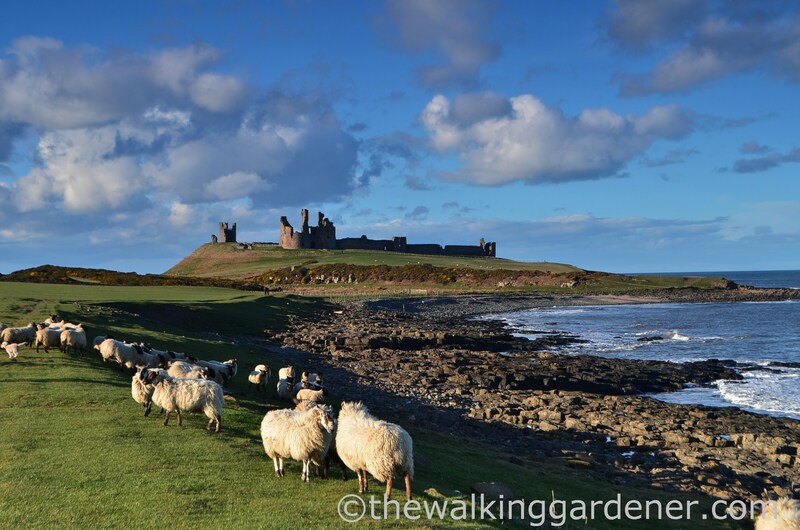 Almost 1400 years after his death, Embleton Church Council devised a 97 mile footpath to commemorate Oswald and linking sites associated with him: the battlefield at Heavenfield; his capital at Bamburgh; and Lindisfarne, where at Oswald’s invitation, St Aidan founded a monastery. 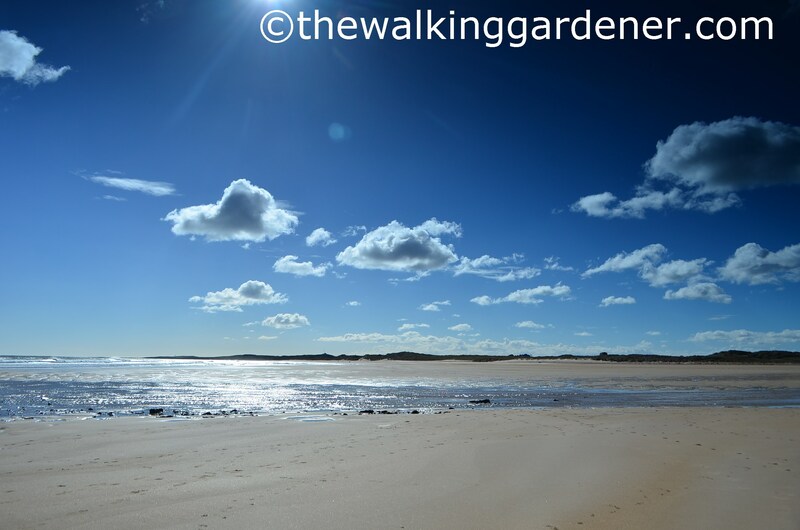 In planning a spring walk for 2014, and after considering many paths, I chose the St Oswald’s Way (which I extended to Berwick-Upon-Tweed; and on to which I tacked the Cumbria Way and Hadrian’s Wall Path to form a 220 mile coast to coast stroll). The SOW was an enticing prospect: crossing a county I barely knew. From Hadrian’s Wall, the St Oswald’s Way begins with a two-day traverse through largely uninhabited, remote country; followed by a day’s riverside walk to the sea and then continuing for four more along one of the most beautiful coastlines in the UK. With stunning castles. Here’s my account of walking the St Oswald’s Way (the third and final stage of A Walk Across Northern England). Ps, I’m all for impaled body parts pics. A great project, nicely introduced. Will look forward to the posts. I’m so far behind on your walking adventures, Dave! Looking forward to catching up, though if you have actual photos of impaled body parts, I will rebel. The fluffy sheep/clouds photo is stunning What a sky!. It’s very much appreciated to have you along, Stacy. Over here on The Walking Gardener can seem a lonely business at times!